Owners Shirley Lam, Raymond Chu and John Su took over the longtime Chile Pies space last year, reimagining the former burrito bar. 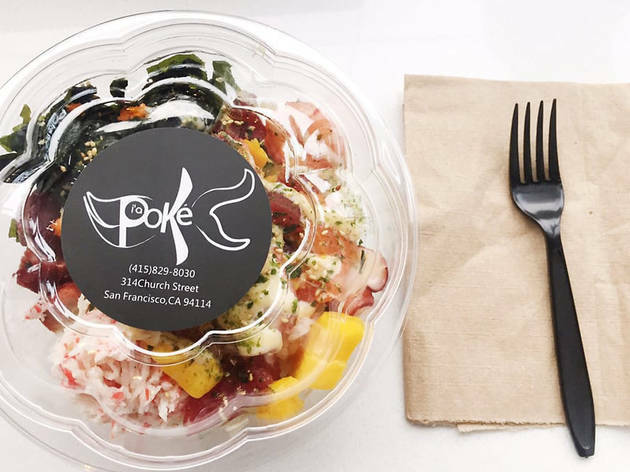 The spot now serves poke bowls and nori-wrapped sushi burritos. Fish choices include tuna, salmon, yellowtail, shrimp, and octopus; opt for the bigeye tuna, which is flown in from Hawaii three times a week. The twenty-odd toppings include Cali-inspired add-ons like sun-dried tomato, guacamole and fresh crabmeat. 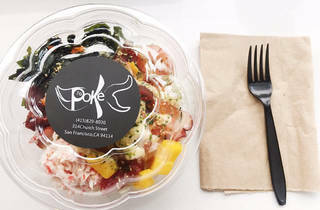 Pair your bowl with the subtly spicy tartare and chips or a bite-sized Spam musubi.